If you’ve purchased or leased a car or electric vehicle in the last 12 months, could you leave a comment below to share your experience, and outline how you went about researching which make/model to get? We would love to hear about how you came to a decision on your choice of car, as we know there's a lot of info out there to get your head around! Buy directly from a dealership without researching your options online? Browse make and models online before purchasing at a dealership? Research what to buy and make the purchase all online? 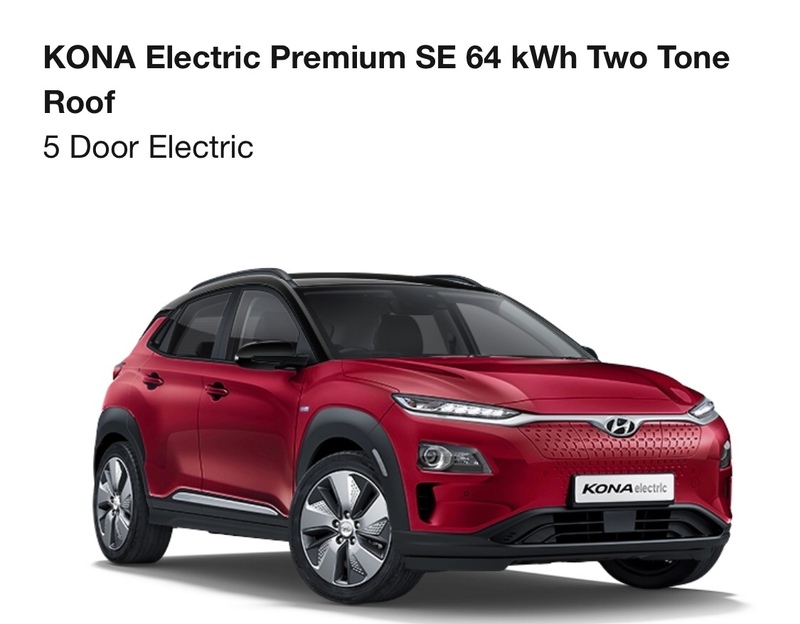 I have ordered from Hyundai the new Kona Electric. It was secured via their “Click to Buy” system, which is presently having some teething problems. I am trading my Mercedes 350e so the idea of buying an EV with a range of 300 miles is wonderful. I had a 30kWh Nissan Leaf Tekna on lease and looked at the 2018 40kWh Leaf. Bought it outright and really regret the decision because of #rapidgate. The car itself is a great improvement on the old one, but, and this is a biggie for me, it will not accept consecutive rapid charges. I bought the car for long holiday trips of up to 650 miles in a day. Drive 120 miles, rapid charge four or five times to the South of France where my penfriend lives. The 40kWh Leaf WILL NOT do this as the software chokes off the charge when the battery gets a bit hot. The battery gets hot because there is no battery temperature management as there is on other vehicles. Even the 40kWh Nissan Van has it! I was so disappointed that I wrote to the Managing Director of Nissan UK. I got fobbed off by one of his staff. The solicitors at Which? told me that my contract is with the garage that sold me the car. They too have fobbed me off stating that the charge reduction is a "feature." Honestly, who wants a retrograde "feature"? Not me. I will have another go at them as they must know their bean counters messed up with what customers want, as opposed to what they used to use the old Leaf for. The 30kWh Leaf will accept consecutive rapid charges BTW. It looks as though I should have bought the Hyundai Ioniq BEV as it will consecutively rapid charge. That said, it looks as though vehicle makers have not grasped the fact the people want BEVs that can do 120 miles and recharge at a rapid rate up to say 80% and do another 110-130 miles. I know others can drive for longer but I get bladder anxiety at 110-130 miles. I considered the 40kWh Renault Zoe but it's not made in UK and allegedly breaks the steering drop link after 20,000 miles. And, I didn't like the logo thingy on the seats. Interesting feature on the Kona is the ability to set the maximum charge level. So if 60% charge is adequate for yourself then a slider is moved to that position and the charge stops at that level. Several interesting BEVs coming out soon but I honestly thought the 40kWh Leaf would do me as it's made in UK and is really well put together. As I said, the car itself is great. It's #rapidgate that ruins it for me. I’m PCH leasing a 2018 40kWh Nissan Leaf Tekna. I’d been keeping an eye on the market and had considered an eGolf - but when the new Leaf came out, I checked some reviews and decided to go with that. At the time there were some awesome leasing deals around which made it a no-brainier. It’s worth avoiding a lot of the Top Gear style media as they simply don’t understand that you don’t map your existing behaviour onto EV ownership. i.e. you mainly charge at home and/or at your final destination - charging mid-trip is only for unusually long journeys - this means charge times are completely irrelevant for day-to-day use. Like @Spaceprobe I would never go back to an ICE now. The completely effortless silent power is great fun - leaving BMW M3’s for dust at traffic lights is amusing. The savings on fuel are incredible too - I’m paying 1.8p/mile even charging 100% at home. this means charge times are completely irrelevant for day-to-day use. But, some people (me) buy a car to be the complete package, replacing an ICE vehicle. This means that it should be capable of long journies when required. The 40kWh Leaf is not such a vehicle due to the ever slowing charge rate when consecutively rapid charging. "Mainstream" purchasers want a vehicle for all seasons and there are now BEVs that fit the bill. The 2018 40kWh Nissan Leaf is definitely not one of them. Respectfully disagree. The 40kWh Leaf completely meets all of my use cases and likely most average motorists. It doesn’t meet your requirements but that doesn’t make it a bad car, it just means it’s not for you. I too was happy to buy the Tekna but the video reviews of the Kona caused the change. 300 miles is more than enough for me. My Mercedes is nearly three years old and I have covered just under 12,000 miles. I plan to use the Kona and keep it topped up via Chargemaster pods in my local town centre car park or Waitrose for free electricity. It is a great car if it suits your purposes. I never said it doesn't suit a lot of people. But, I told the salesperson what I required and #rapidgate was never pointed out to me. Had I been informed of the drawback, I would not have bought the car. I would have continued the lease on the 30kWh Tekna and waited for the 2019 version WITH battery temperature management. Nissan didn't come clean on this and are still denying there's a problem. THAT is totally unacceptable. Definitely agree with you: I expect a manufacturer to be upfront and honest about any product limitations. If you were coming from an ICE it might have put you off EVs for life and none of us want that as we know just how brilliant they can be. I expect a manufacturer to be upfront and honest about any product limitations. It wasn't the sales staff as they didn't know about #rapidgate either. They were told that the 2018 40kWh Nissan Leaf was a "Go Everywhere, charge to 80% in 40 minutes" vehicle that could consecutively rapid charge. The sales blurb has now changed, but, I gather it still doesn't tell the whole truth. I'll have another dig with the Consumer Protection from Unfair Trading Regulations 2008. I first had a test drive in a Tesla Model S which I adored but decided I couldn't justify the £76,000 that the model I wanted cost. Did loads of research on line and decided to try the Leaf, firts of all I used Carwow.com to get a price. The two cheapest dealers were in Lincoln and Kings Lynn. Itook the details to the local dealer in Tamworth but the nearest they could get was £1,500 more! So, I ordered on line via Carwow in mid February from the Lincoln Nissan Dealer and paid a deposit on a 2018 Leaf Tekna with a few extras which I subsequently collected at the end of April. I have no regrets about the Leaf, Rapidgate doesn't affect me as the longest journey I do is Plymouth to one set of Grandchildren and we always stop on the motorway twice for coffee so this time for a charge and coffee. I researched and looked around which EV was suitable for my need at the time as well in my budget. The Nissan Leaf 24Kw was the best choice I have ever made. With the reliable Japanese build, I will be looking into upgrading the car to the Mk2 Leaf in a few years time when I have got my money worth out of this one. Unfortunately, the sales team at the Nissan garage only had one Leaf specialist who luckily was at the garage when I was picking up my car as I did have a few questions in regards to the car. But all questions were answered and shortly after purchasing my car, Nissan had arranged for Pod point to install my charge point. Subject to availability and at participating Nissan dealerships, Nissan will endeavor (sic) to provide you with free use of petrol or diesel car (‘Loan Car’). " 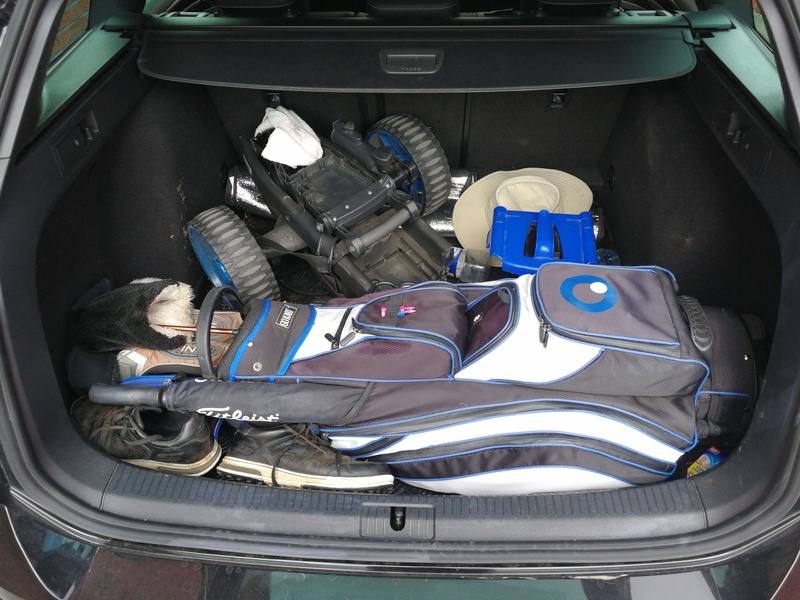 For me as a golfer, none of the normal electric (or hybrid) vehicles have a big enough boot. If the gear is not in a locked boot, it isn't insured. My search for a new car involves huge frustration. I read reviews each month anyway, out of interest. It starts with online research of motoring magazines, paper magazines, then manufacturer web sites to get specifications (if available, and if in any sort of standard layout). Then it progresses to spreadsheets of features and dimensions (it has to fit in the garage alongside my wife's car). 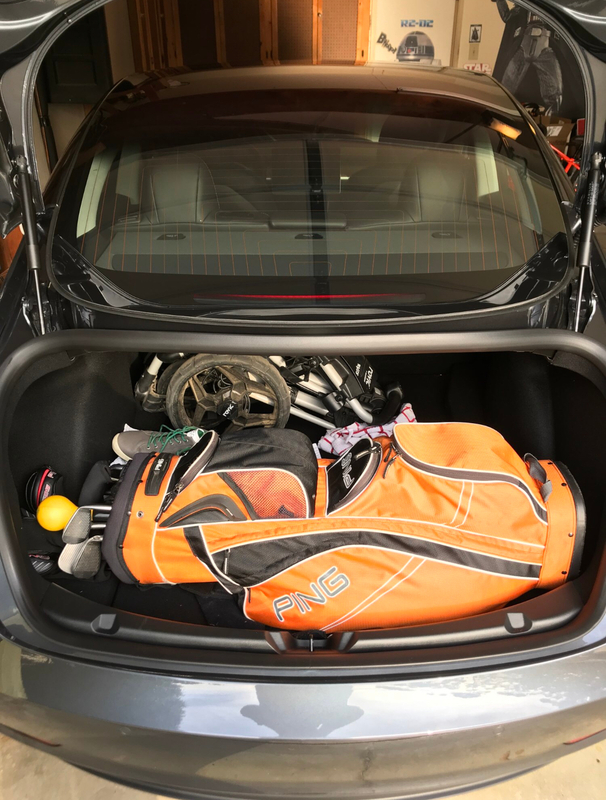 Then when I have narrowed it down to a few, I take my golf gear to dealerships to find that their quoted boot sizes are interesting, and include spaces you cannot actually fit normal things into, or have strange angles. The VW Tiguan only fits one set of golf gear if the rear seat is moved forwards on its slider to its maximum extent. But that leaves a 6 inch gap between the seat back and the boot cover, so anyone looking in can see my golf gear! Oh, and the back seat is now too small for anyone to sit on - so it would be useless for a family of 4 on a long UK holiday needing the big boot size. The Seat Arona and the Skoda Karoq are almost the same. Sometimes you find at this stage that such and such an option isn't available, or not with that level of trim sir. Or that what it seems to say for an option isn't actually what it provides, or that there are two versions and you picked the wrong one. Or that a spaceback is SMALLER than a standard Skoda Rapid. Landrover mislead, quoting the size of a Discovery Sport boot TO THE ROOF, rather than under the cover, which is less than half. 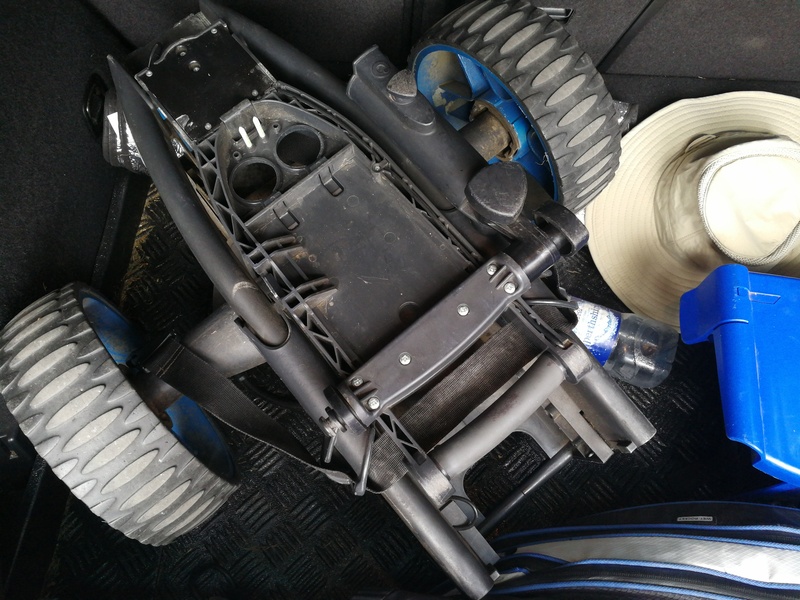 The dealer didn't know the capacity under cover in the boot, and even the manufacturer's help line could not tell me without going away and emailing me a few days later. When you do buy a car, you find out how significant of a lie the old consumption figures can be. Like when I moved from a Skoda Octavia Mark 2 (lovely car, but the Mark 3 didn't fit the garage), to a Volvo XC60. Official Consumption figures increased from 47.9 combined to 62.8. Fantastic? No. Real life measured consumption DECREASED between cars from 45.6 to 37.5, measured over 3 years each and driving the same way. From everything I have read, EV real life range is nothing like the official figures, for the majority of users. My recently acquired car is a VW Golf Estate, which - when I removed the 'higher' level boot floor and released 6 inches more depth - fits two sets of golf gear with trolleys (the Octavia once did 3). It happily took 4 adults in comfort with a week's luggage (but no golf gear) to Cornwall and back to North East England. 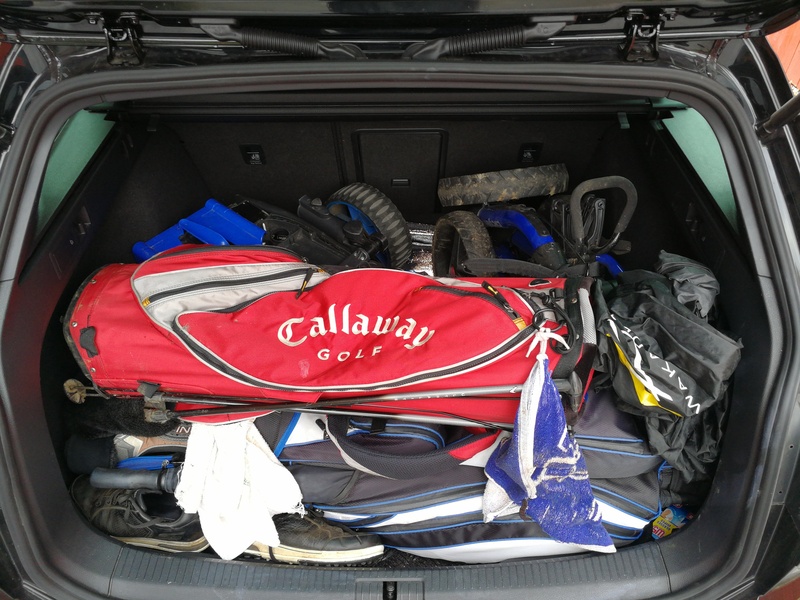 It always amuses me how the VW Golf cannot fit even one golf bag with clubs in the boot, unless you take them out and put some in diagonally. Then there is no space for a trolley, which is needed by 95% of the golfers on our course. 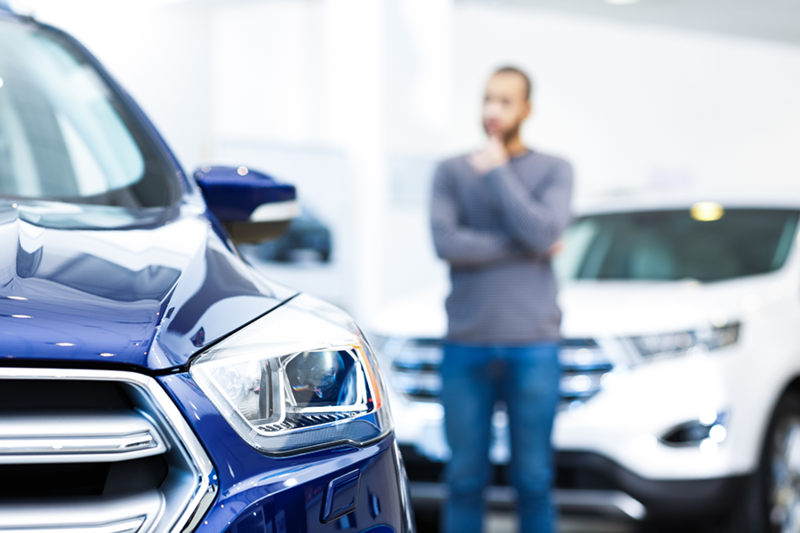 During the process of buying this car, several of the dealers reckoned that the options lists would reduce dramatically as each variation had to have a new emissions regulation certificate. Many expected that there would be the current major trim levels within each range, and perhaps only one or two options within each, perhaps core and fully loaded. We shall see. Astounding to me, several of the sales staff commented that many buyers do not even have a test drive of a car before purchase. Clearly my trolley is too big. I need an electric one. The Golf Estate just fits in two sets of clubs and trolleys, and might just have ever so slightly better performance than an NV200, but I think 21 cubic metres (21000 litres) holds a teensy bit more than the 605 litre boot in mine . 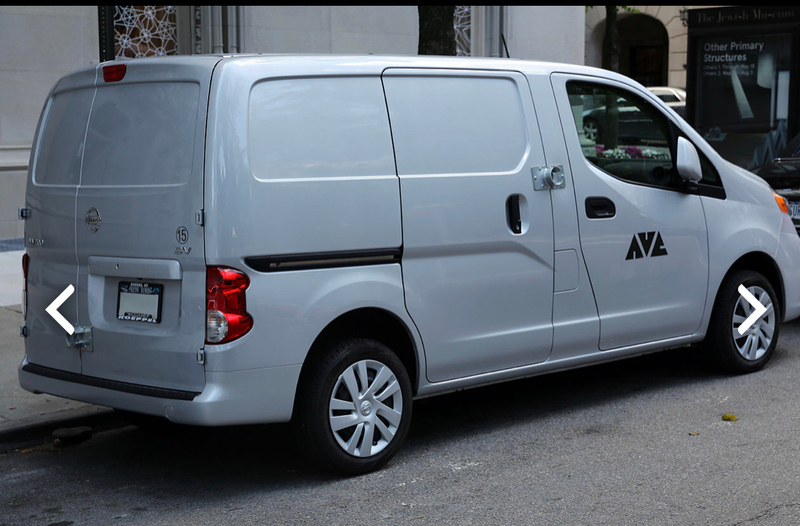 I guess I'd have needed the NV200 Crew Van for my trip to Cornwall I can't imagine my brother in law sitting on the floor in the back of an ordinary one. Mind you, it might suit our golfing trip in May where I could take half the guys in a crew van. We've just decided to replace one of our two cars... the one my wife uses for work around rural South & West Devon. We've used online research, checking Autotrader etc, and I've read most of what has been written here about EV's. We've found a 3-year-old diesel car that interests us, but will be travelling 40 miles to visit the dealership before making the final decision. It's just too early to predict how Energy Suppliers will implement the available features on technology which is only just emerging. Probably not... but with the prevailing south-west wind, the pollution ends up the far side of Exeter! I researched EVs for the best part of a year before deciding that my next car wasn't going to be an EV. I usually buy cars at least a year old and keep them for between 3 and 8 years. My youngest daughter graduated last year and I decided that it really was time to change my family sized petrol Focus Estate for something smaller and greener. 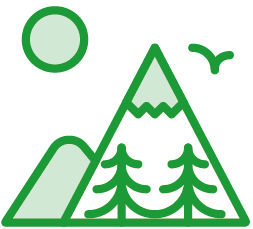 There isn't another car in my household, and I usually do several trips to remote parts each year, camping or youth hostelling. There just didn't seem to be enough fast charging points to go the whole hog, so my compromise was a Toyota Yaris hybrid which I've been really happy with. I can still cruise at 70 on motorways, although I'm just as happy going a bit slower these days. It has enough power to get up steep hills with 3 or 4 passengers. Fuel consumption is more than halved and my contribution to air pollution must be down as well, although not sure by how much. I'm still hoping that in a couple of years time the charging network has expanded enough to enable travel through mid Wales for example, so that my next car can be an EV.